It's been over three months since Bobbi Kristina Brown was tragically discovered unconscious and unresponsive in her Roswell, Georgia home, and still, it seems the rumors surrounding the daughter of the late, legendary singer Whitney Houston — as well as her family — have not come close to ceasing. However, the newest report actually comes from the counsels for Whitney's sister Pat Houston, and Brown's father, Bobby Brown. According to People, both Bobby Brown and Pat Houston will act as co-guardians of Bobbi Kristina Brown, and will continue to make medical decisions on Brown's behalf to ensure her well-being. This news comes after many reports of alleged feuding between the Brown family and the Houston family, as well as conflicting reports of Brown's condition from both families. Most recently, for instance: Bobby Brown was reported to have told an audience at a concert of his in Los Angeles that Brown was "awake," but his words were quickly denied by the Houston family, who told TMZ, "she’s in the exact same condition she was in when she went into [the rehab facility.]" 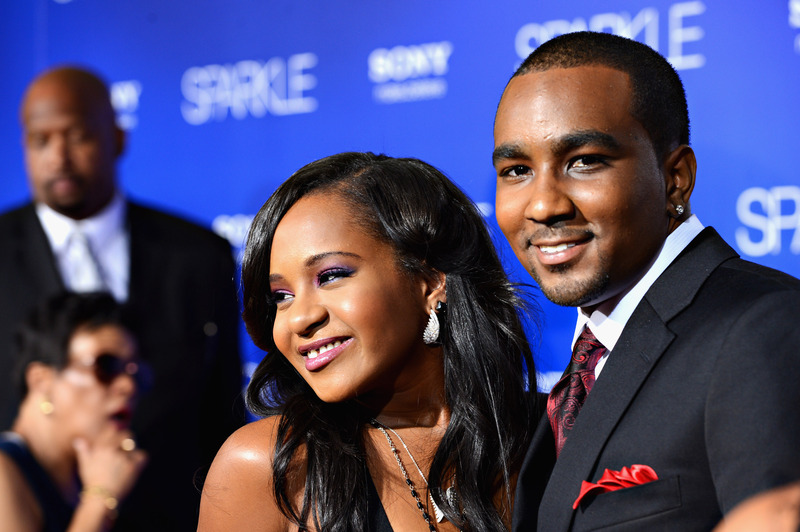 Pat Houston and Bobby Brown's counsels — David Long-Daniel, and Christopher Brown, respectively — released the following statement confirming the duo's co-guardianship of Brown: "We are delighted to inform the public that the court has appointed Bobby Brown and Pat Houston as co-guardians of Bobbi Kristina Brown ('Krissi')... Both Mr. Brown and Ms. Houston are jointly responsible for decisions related to Krissi's care and medical needs." Additionally, the statement added that, "both parties are delighted with the court's decision and are working harmoniously to ensure Krissi receives the best possible medical care." While it doesn't give much indication of Brown's current health status, this could be promising news in terms of how the family is working together to do what's best for Brown in light of the circumstances. Though the situation is an unimaginably devastating one, at the very least, this news could put reports of fighting between the families to rest — and, thus, end the media circus sensationalizing the situation Brown is in, in favor of focusing on her well-being.